← My weekly printable meal planner – saves money, time and nerves! 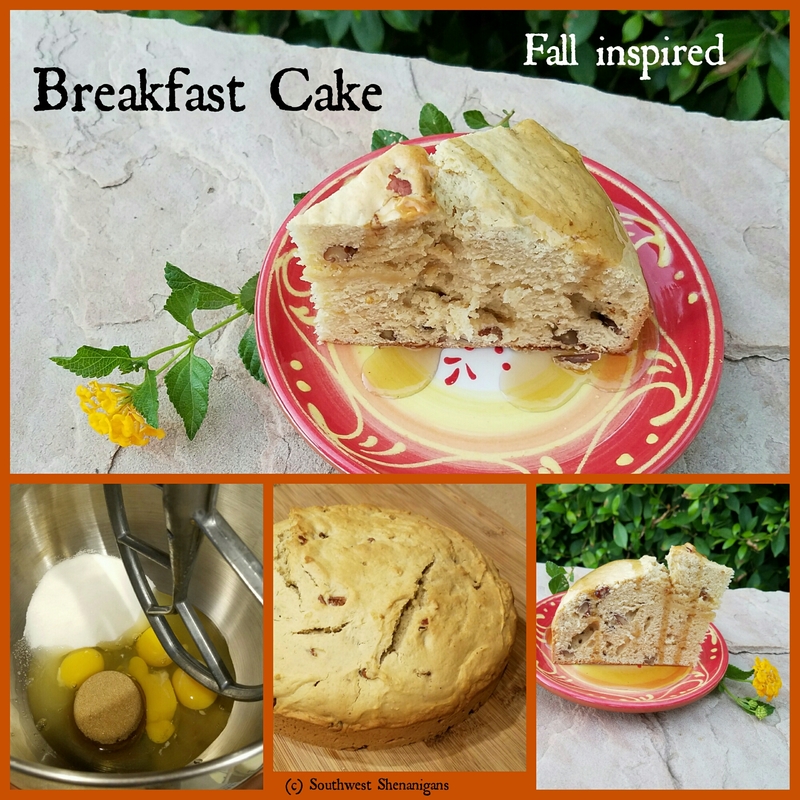 Breakfast cake recipe – fall inspired delicious and moist treat! Cake for breakfast, cake for breakfast! Who doesn’t want that? Well, I know I definitely DO! But, I don’t like it too sweet, too “flavored” or too boring – and that’s where the problems begin. 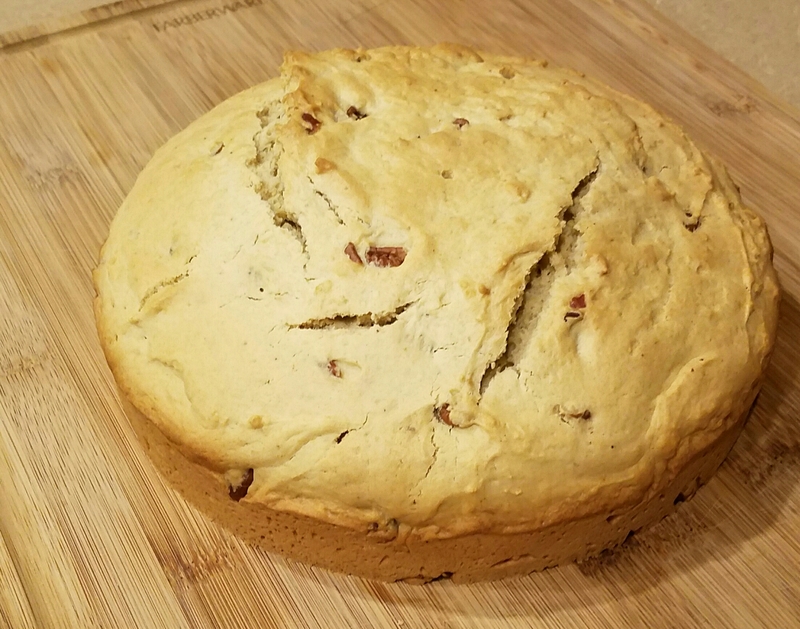 Banana bread- no thanks, I don’t like banana. Sweet potato loaf? Always too sweet. 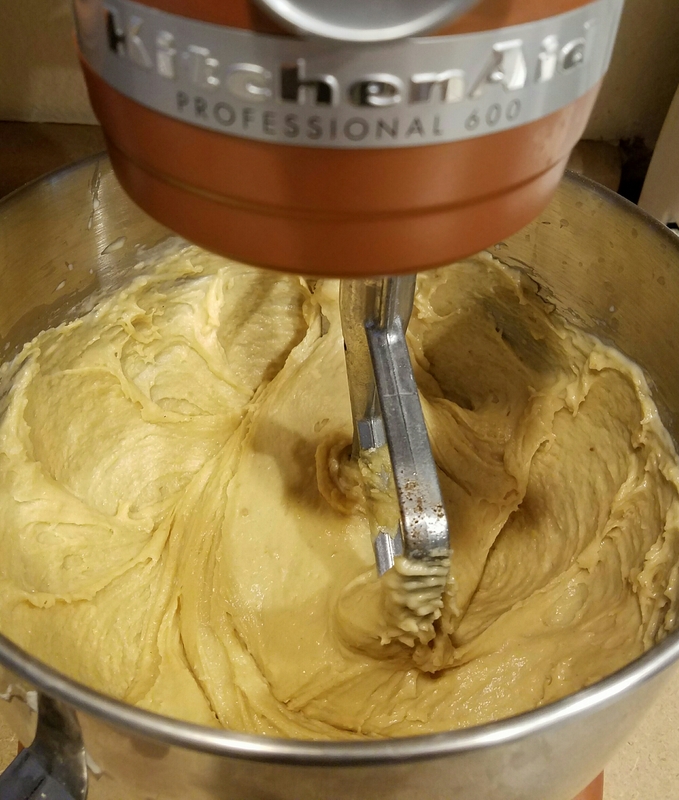 Pumpkin bread? I am already over all that pumpkin craziness and it’s not even October yet, haha! So, I just came up with my own versatile, “please everyone” breakfast cake. 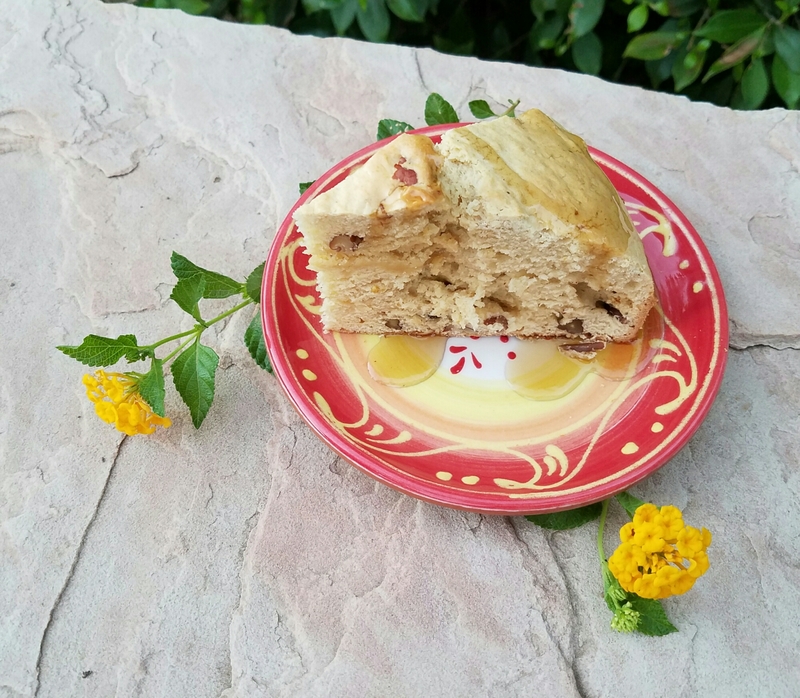 Everyone can eat their piece as they like: try it with canned fruit, syrup, honey, whipped cream, spread it with butter, cream cheese, jam, apple butter… or just eat it as is, the flavor is outstanding! 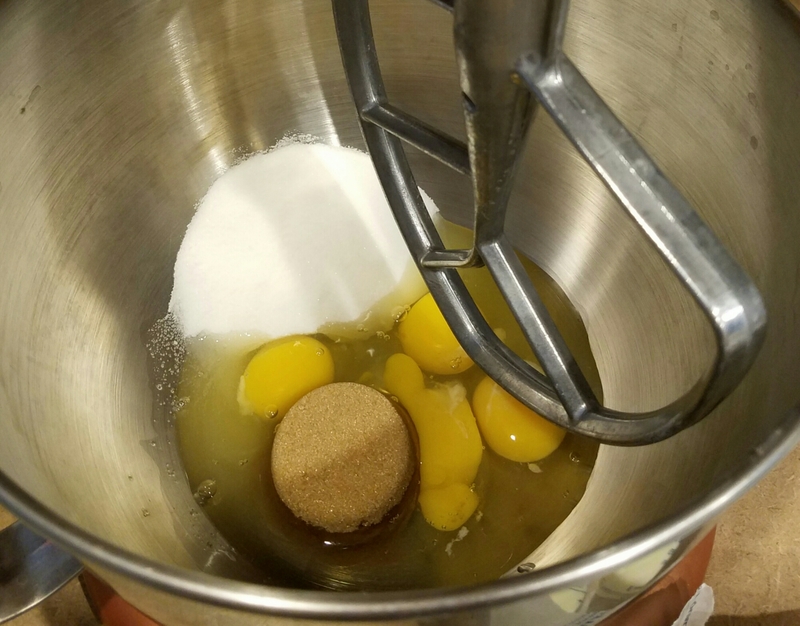 Whisk eggs and sugars until creamy. 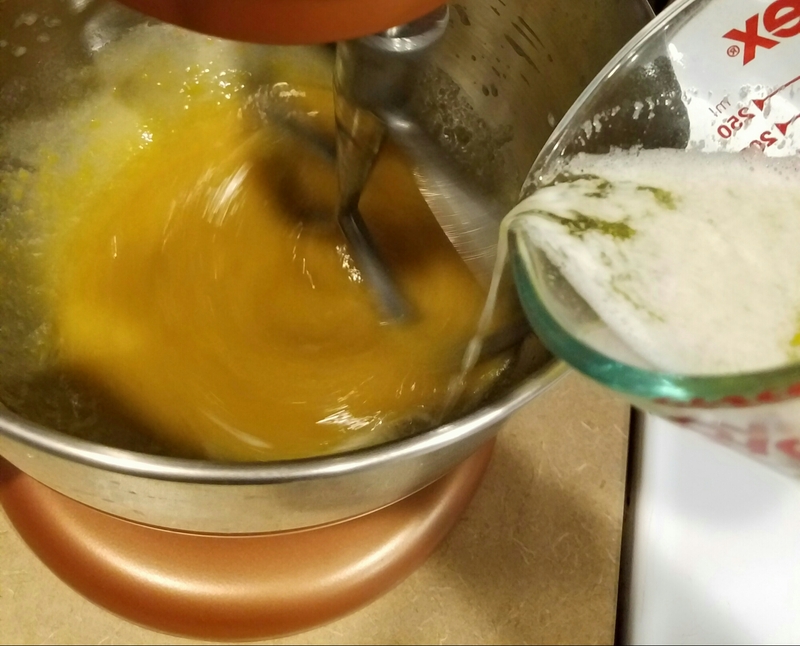 Slowly add melted butter while still whisking. Add milk and spices, incorporate well. Sift flour and baking powder. Incorporate. 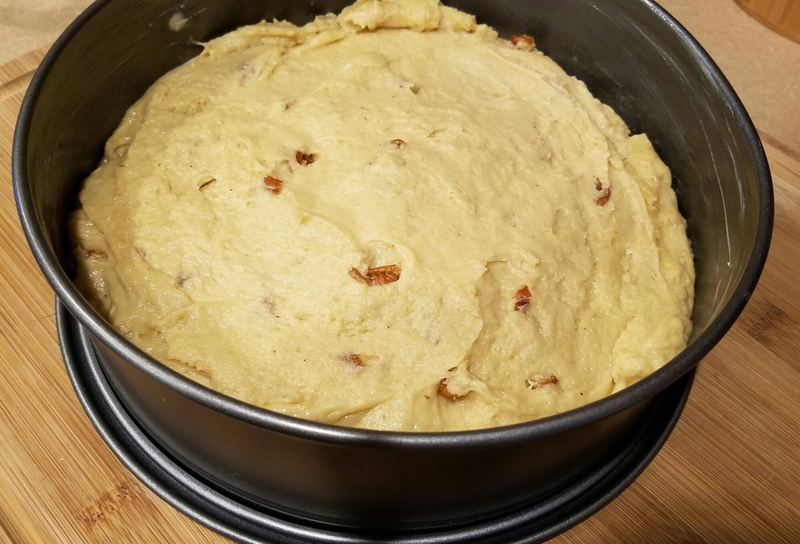 The dough will be very thick! 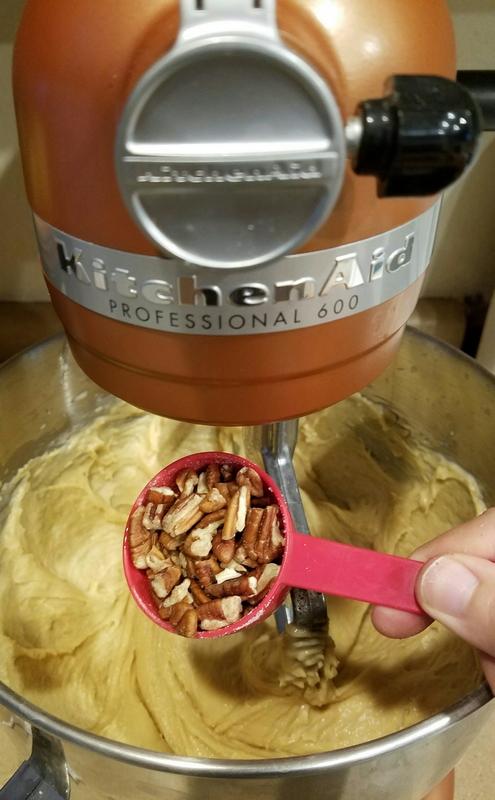 Break or chop the pecans into smaller pieces, add to the dough and fold in. Now spoon into a greased cake pan and even out the top with a spatula. Bake at 350°F for 45-50 minutes until a wooden skewer inserted into the middle comes out clean. 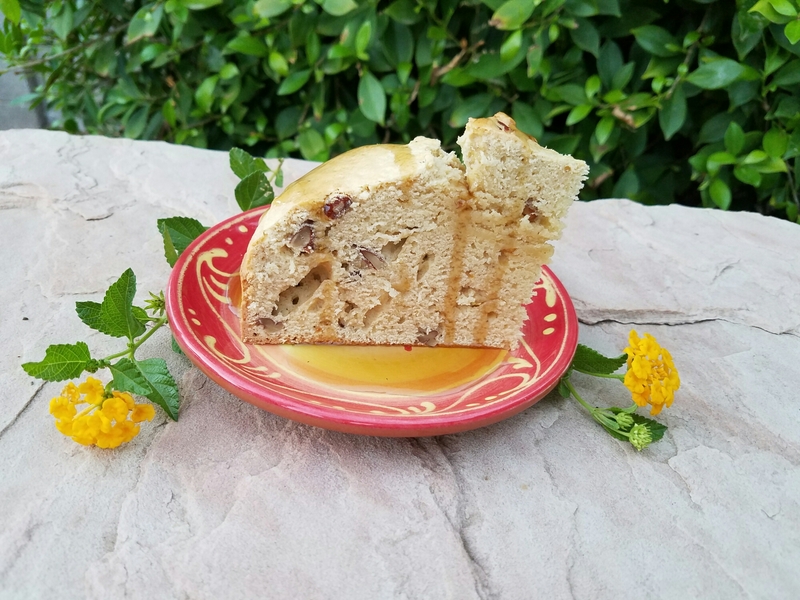 The cake stays fresh for a couple of days, and storing it in the fridge will keep it moist. It also freezes very well! The subtle but comforting flavor of the spices reminds me of fall, when the weather turns chilly and the best thing to keep you warm and cosy is a piece of cake and a warm mug of tea or hot chocolate!